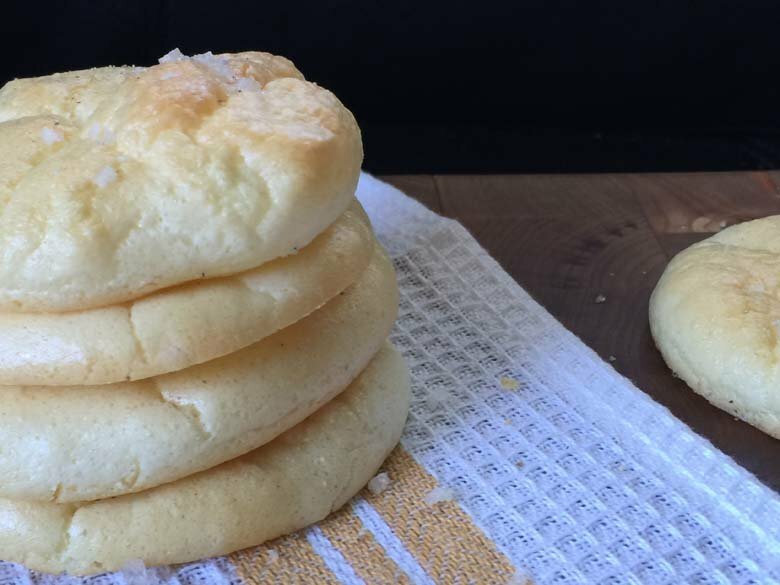 Weight Watchers Cloud Bread is a tasty alternative to traditional bread, crackers, pizza crusts, and more. I love it for sandwiches and snacking–it’s low in Freestyle SmartPoints and an easy and delicious snack! The great thing about Weight Watchers cloud bread is that it is very low in carbs. It’s also very low in points in terms of bread, crackers, etc. 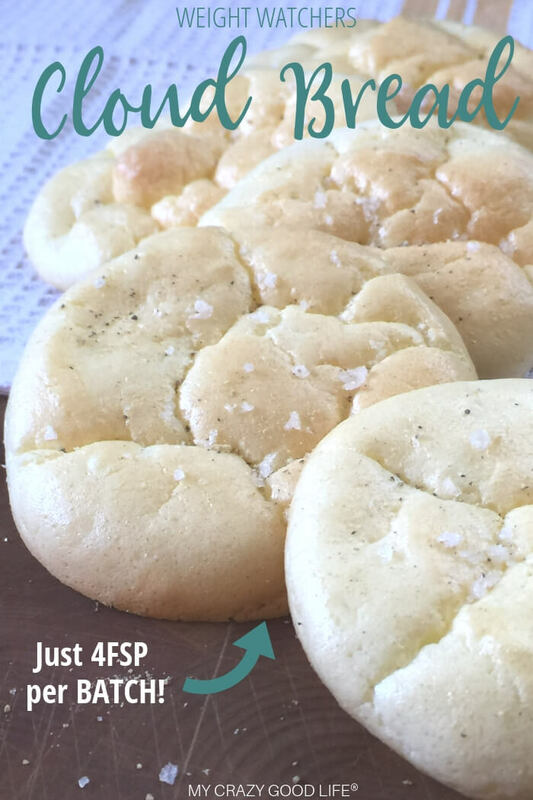 You can us this SmartPoints cloud bread to build tasty, low carb, low points, mini pizzas too! It’s also a great accompaniment to recipes like this Weight Watchers Crack Chicken. 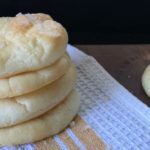 At just 4 Freestyle SmartPoints (when using light cream cheese) per BATCH this cloud bread is an amazing option. It’s perfect for snacking, dips, sandwiches, and more. Room temperature ingredients incorporate better in this recipe. I leave mine out for at least three hours to get to room temperature. Warming in the microwave or in a bowl of warm water does not provide the same results–I’ve tried this (and failed). 1.Before you begin, preheat your oven to 300 degrees. I used a silpat baking mat on top of my cookie sheet. If you don’t have one, you can use parchment paper. 2. 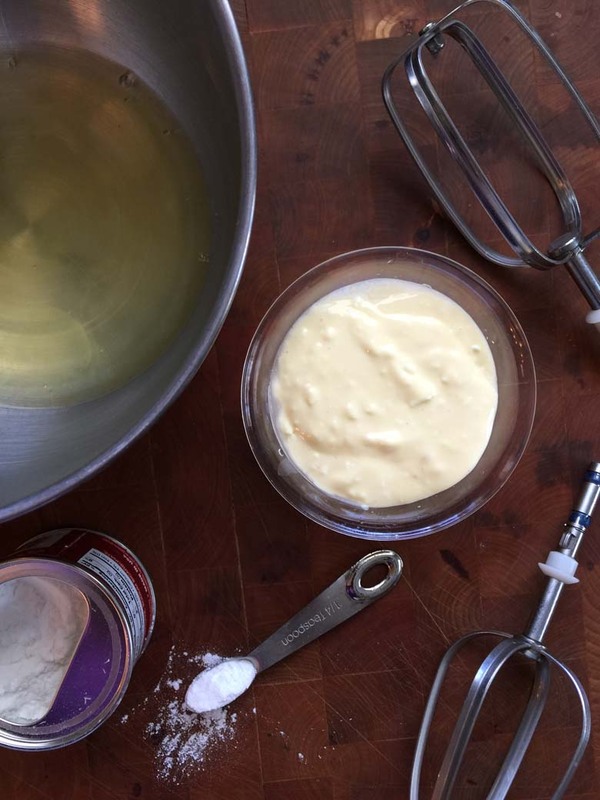 Mix together egg yolks (yolks only) and cream cheese until blended smooth. I’d almost say overblend these, try to get rid of as many cream cheese lumps as you can. Beat egg whites and ¼ teaspoon baking powder (some have used cream of tartar instead) until fluffy. Again, I’d overblend these and make sure to get the same consistency from top to bottom of your bowl. 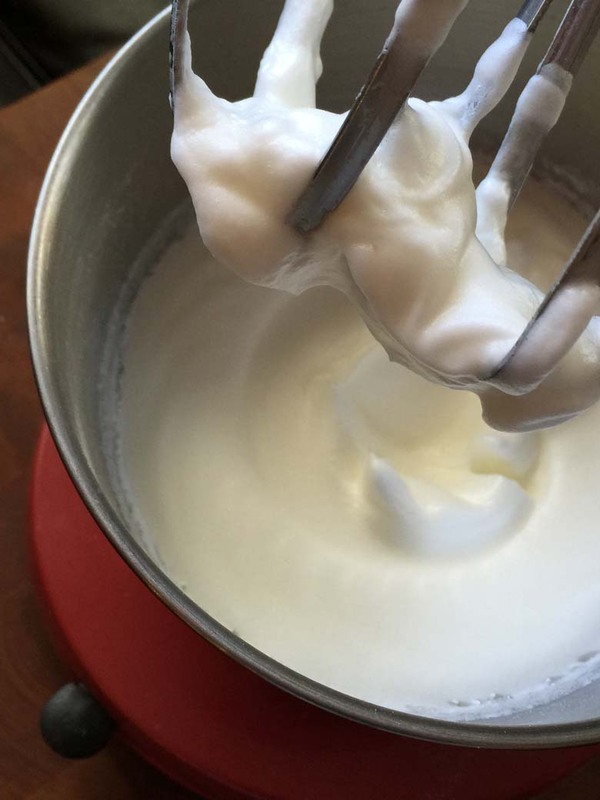 Fold the egg white mixture into the yolk and cream cheese mixture carefully. Be careful not to overmix the batter, but know that these need to be fully mixed for your cloud bread to come out fluffy and beautiful. I recommend using a large whisk to do mix the batter. 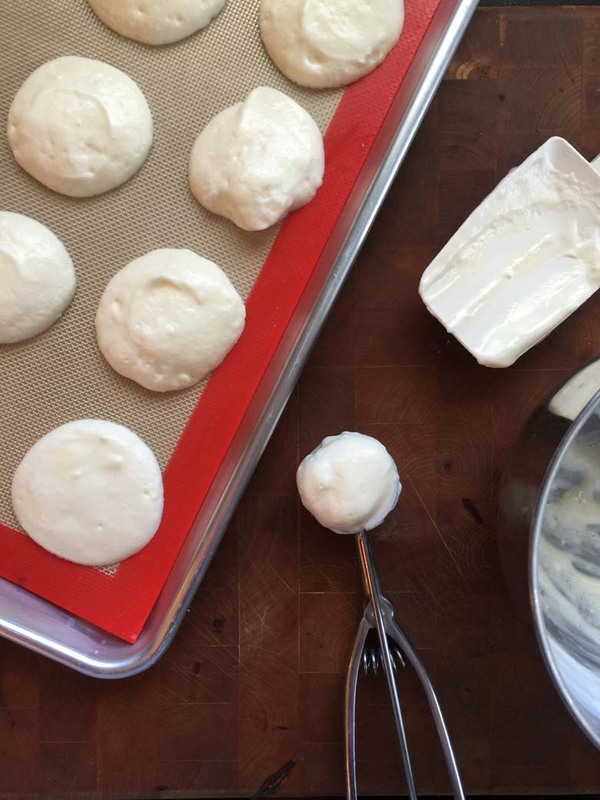 Using a cookie scoop, take batter out of the bowl and tap it a few times lightly on the counter to let the big air bubbles out before baking. 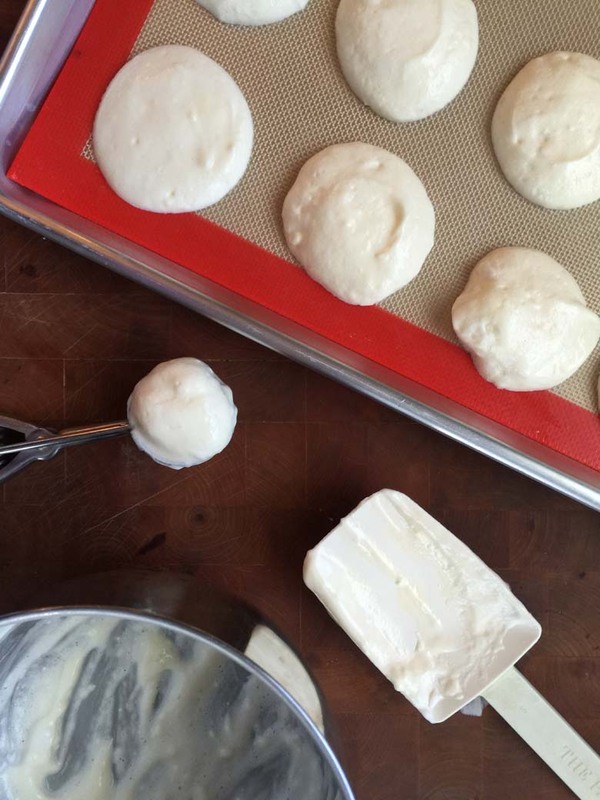 Drop the batter on your silpat baking mat, leaving a little room in between. Before you begin, preheat your oven to 300 degrees. I used a silpat baking mat on top of my cookie sheet. 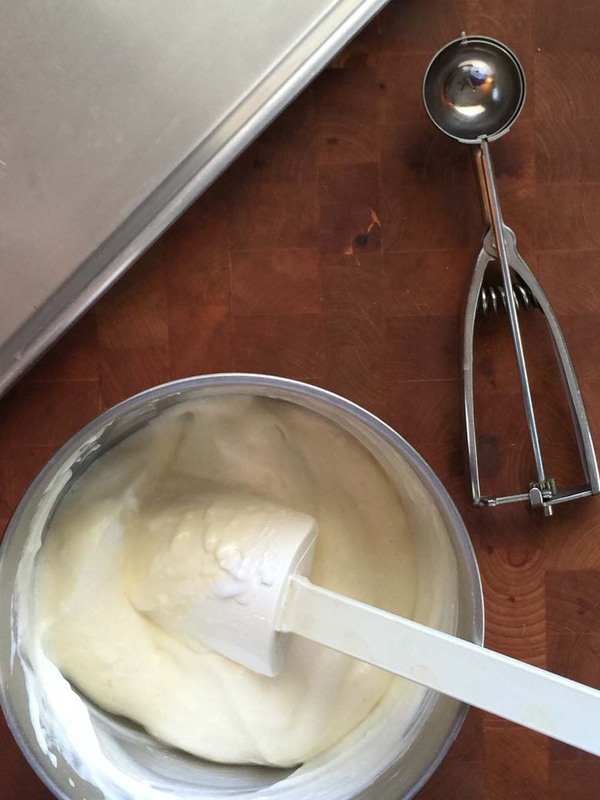 Mix together egg yolks (yolks only) and cream cheese until blended smooth. I'd almost say overblend these, try to get rid of as many cream cheese lumps as you can. 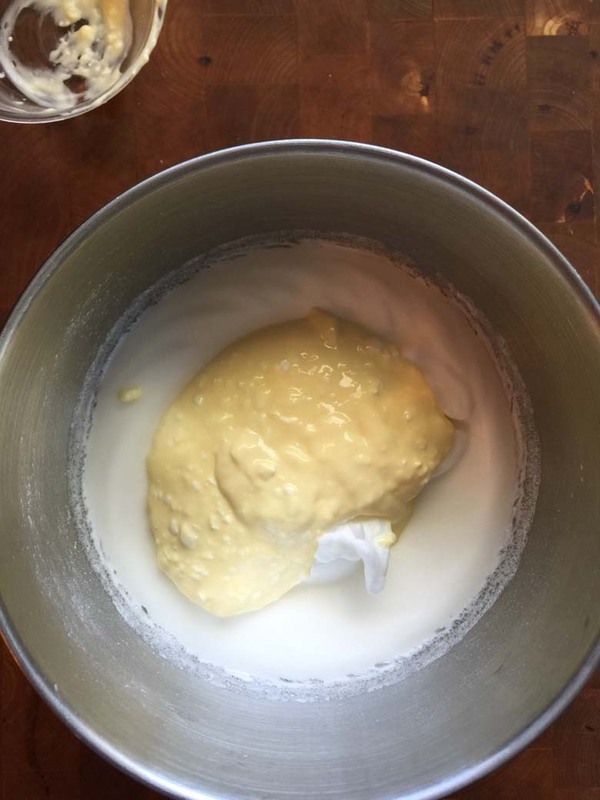 Fold the egg white mixture into the yolk and cream cheese mixture carefully. Be careful not to overmix, but know that these need to be fully mixed for your cloud bread to come out fluffy and beautiful. I recommend using a large whisk of some kind to do this. Hello! I’m a little confused with the Smart Points. It says 2 FreeStyle SPs per serving. What is a serving? Is a serving 1? Then it says at the bottom, FreeStyle Smart Points | 7 Per Batch. Does that mean for the whole recipe – 7 SPs? Thanks for the recipe. I’d like to try it this weekend. Have a great day! Thank you Ma’am!! I can’t wait to try them. Hi! I’m new to WW and this looks like an easy recipe! Would low fat or non-fat cream cheese make a difference? You could try them with the low fat or non-fat cream cheese but we’ve never made them that way. This recipe is kind of sensitive in terms of texture so I can’t say for sure how they’ll turn out. If you do make them that way be sure and let us know how they turn out! You could potentially cut out a majority of the points with a non-fat cream cheese substitution but again, no idea how that will work with the consistency and baking process! Hi! I’m not on weight watchers but am on a low carb low calorie diet. How many calories does your cloud bread have? According to the MyFitnessPal app, 3tbsp of baking powder, 3tbsp of cream cheese and 3 large eggs is 285 calories. Divide that by however many rounds you make to determine how many calories there are for each round. 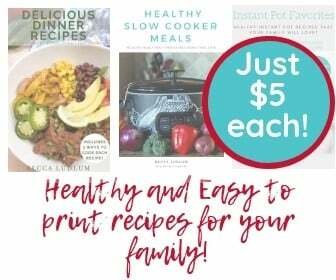 Great recipe idea!! Can’t wait to try it! I am gluten intolerant & Im on WW’s so this is a great low point ‘bread’ alternative! What size cookie scoop did you use in preparation? Thank you! The whole batch is 7 freestyle points. If I use fat free cream cheese, I am assuming the points would be lower is that correct? I was wondering if I could double the recipe to make 6 breads instead of 3? You can absolutely double the recipe! I don’t have a silpat baking mat for making cloud bread. Should I lightly grease my cookie sheet? I just watched the video, and it says “Greek yogurt” instead of cream cheese. Is that a different recipe? Thanks! Does the yogurt work as well as the cream cheese? I have both, but I was going to try the cream cheese today.